In this issue: Axis nukes, epic fantasy–and an alternate history Christmas carol contest! Days after Normandy, Hitler is taken out and Heinrich Himmler assumes control of the Reich. Himmler’s first act: supercharge development of a German a-bomb. 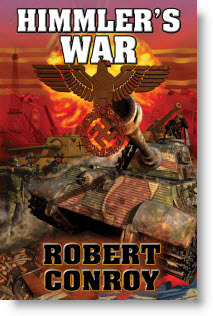 Compelling alternate history from a World War II master, as a new and terrible battle for the free world is on. Jame: mistress of thievery, wreaker of havoc–and a heroine born to battle a world-destroying Lord of Darkness and resuscitate her ancestral heritage. But first Jame must survive a school for warriors where death stalks the haunted corridors and Jame’s every move could be her last. What would Christmas be like if the Nazis had won WW II? Napoleon had acquired faster-than-light travel technology? The South had never discovered grits and sweet tea? This year, the past, present, and future of Christmas is up to you. 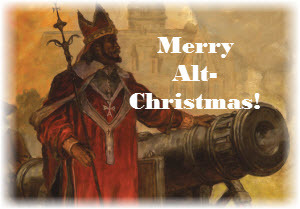 Send us your original alternate history Christmas carol (at least a verse and chorus). Best entry will win a signed advanced reading copy and hardcover of alternate history master Robert Conroy’s Himmler’s War. Hitler is gone and Himmler’s in charge. Now the allies face a resurgent Germany and the growing likelihood that a German a-bomb is well on its way. Kencyrath scion Jame must survive Tentir warrior’s college where death stalks the haunted corridors and Jame’s every move could be her last. 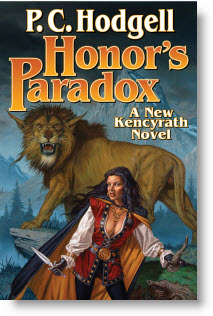 The Kencyrath Chronicles continue.. Daring starship captain John Grimes finds his greatest calling as a merchant adventurer and problem solver on the galaxy’s frontier. Book III of the legendary John Grimes Saga. The entrenched rulers of 17th century Europe continue to plot against Grantville, the West Virginia town thrown back in time. The epic struggle for freedom and democracy three centuries early continues as the Ring of Fire saga marches on. Humanity’s deadliest foe, the Troft, are back, and one young technologically-enhanced Cobra warrior must overcome prejudice against her kind and marshal the force to face the enemy once again. A young bard quests across a war-torn landscape in a desperate quest to find a champion before the World Harp he possesses sings out his land’s final chord. In the twilight of the Terran Empire, one man exists who can save his empire–and civilization itself–by hook or by crook, whether his so-called betters appreciate his efforts or not. 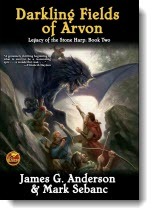 Book V in Poul Anderson’s celebrated Technic Civilization Saga. The sixth rollicking set of tales from the best-selling Ring of Fire universe–selected and edited by Eric Flint himself. Don't forget to check out the newest Ebook releases, and Baen.com free fiction: Robert Conroy’s riveting alt history tale of the Lincoln Assassination. Plus, free non-fiction: part two of “Beating Decline,” a substantial tour d’horizon of the U.S. military’s technological future. Baen Books / WebScription. No DRM. You own it; it's yours.